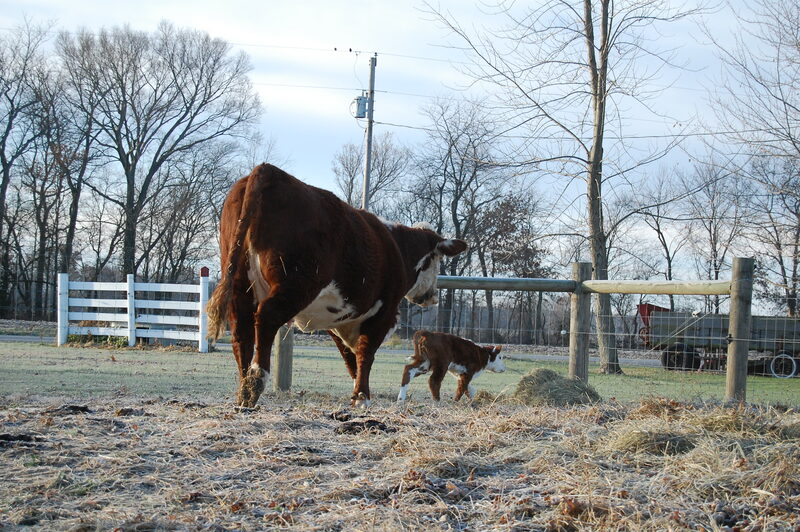 Watching this calf makes me laugh … and makes me a bit Dr. Seuss-y. Then I will run everywhere! *Note: Abigail’s face is so dirty because she licks a hole down into her mineral tub instead of licking it flat/even across the top! 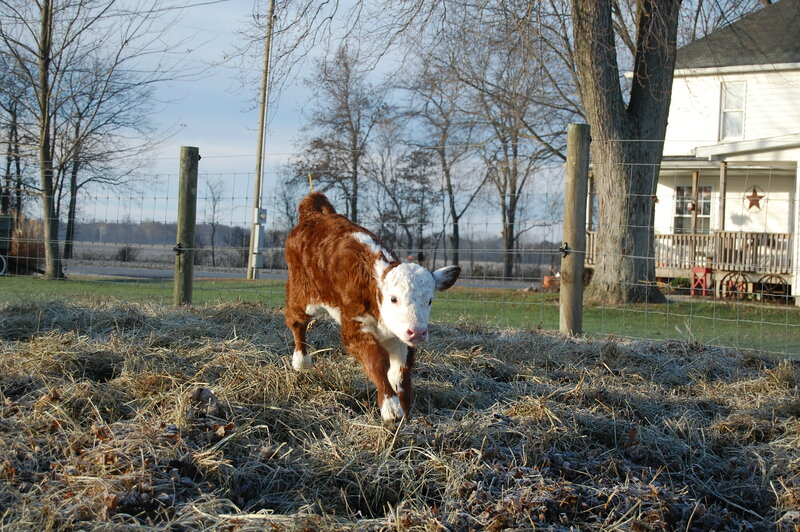 This entry was posted in Country Living and tagged country living, CUTE, Dr. Seuss, farm animal photos, Polled Hereford calf, Polled Herefords. Bookmark the permalink. 12 Responses to Warning! 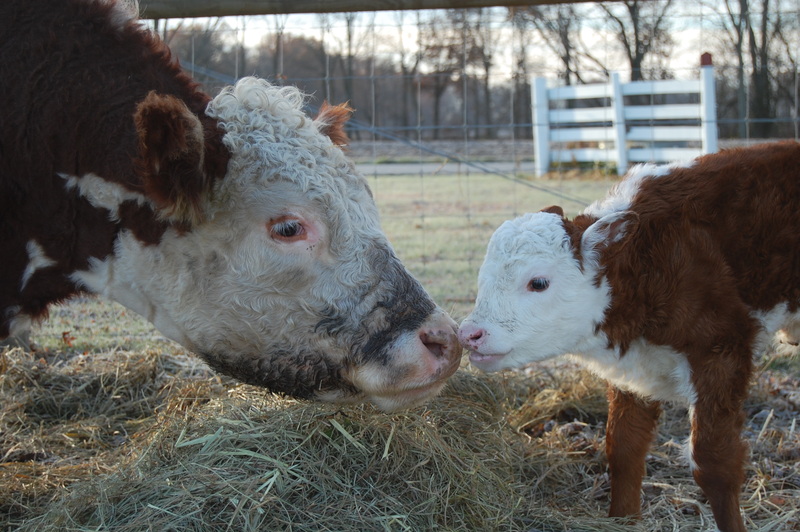 Cuteness Alert! They need mascara! I mean, white eyelashes? 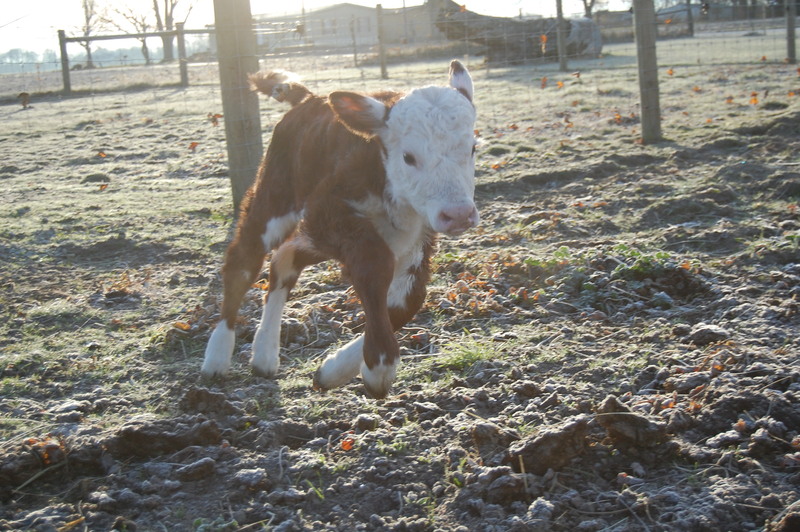 I’m amazed that a brand new baby calf is running all over the place. Funny! Our goats have white eyelashes, too. It is amazing how quickly they change. 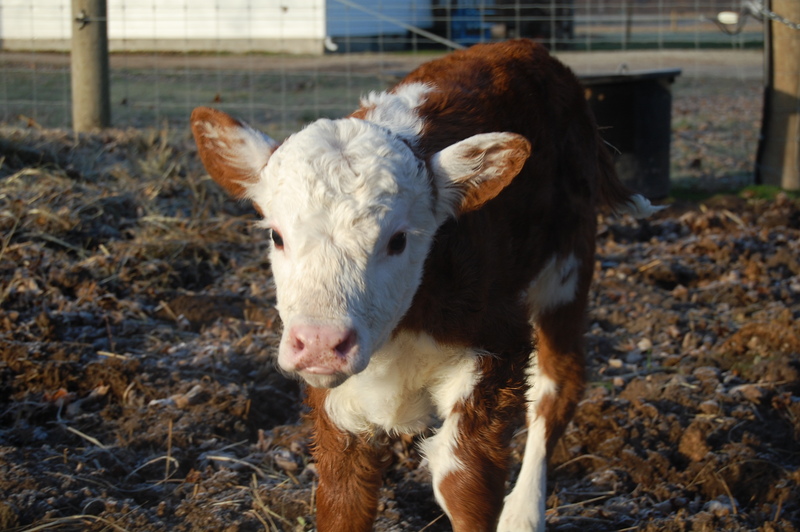 Cute alert indeed! Thanks for the smile this morning! You made me laugh also! 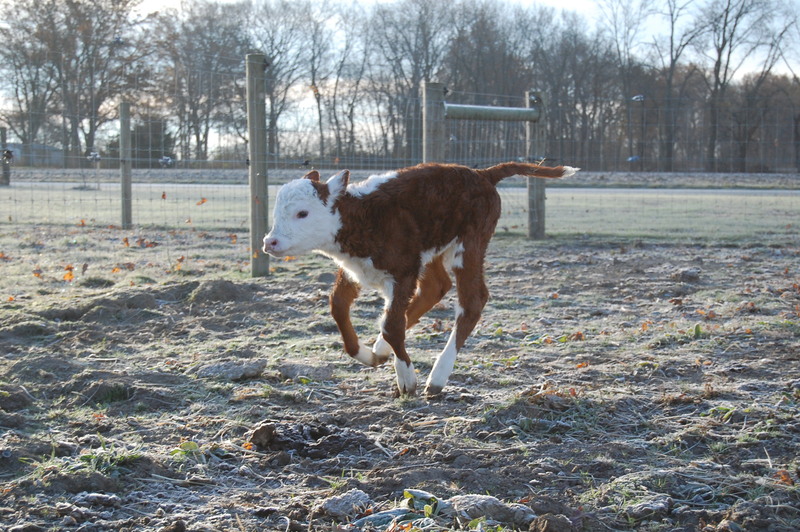 I love the joy of babies…and calves really do show joy well! She is! Happy, the donkey, keeps a close eye on her … from his side of the fence. 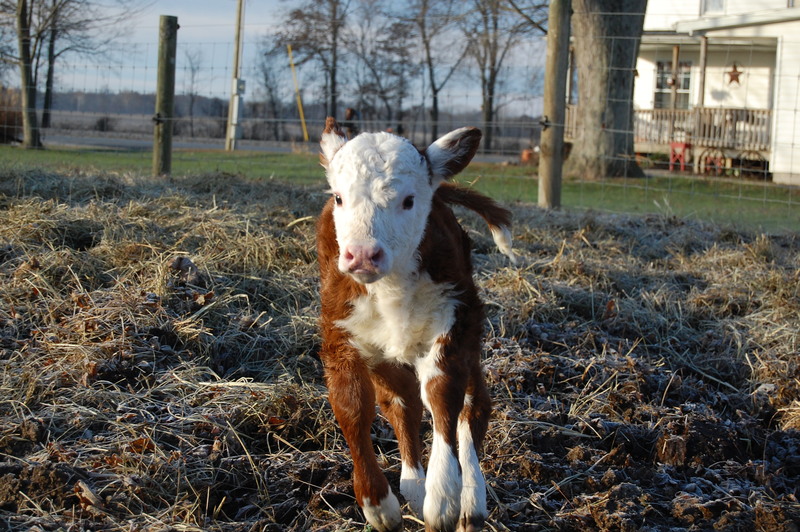 Looks like a happy, bouncing baby! So cute! We all stop to watch her when she is playing!